Serviced offices offer a much needed convenience to foreign and local companies setting up business in the Philippines. These offices usually come fully-furnished, and are equipped by a separate facility management company. The managing company purchases the individual desks, office space, and operating equipment, then rents them out to client companies. Also referred to as executive suites, managed offices, business centers, or executive centers, serviced offices boast a large number of benefits, including plug and play options, prominent business adresses, and flexible short term contracts. These types of offices often have more flexible rental terms, compared to conventional leased office space, which are subject to more restrictive leases. Additional office space is easily allocated within short notice, making it more convenient for client companies in general, should a particular business change in size. Serviced offices are also more cost-effective, owing to the fact that client companies do not require to set aside capital for start-up costs and solicitor’s fees. Most serviced offices are equipped with the latest technology, including plug and play options, high speed internet access and state-of-the-art facilities. A large number of workstations are available to employees, and can be used by anyone. Serviced offices have become a viable alternative to conventional leased office space. They are used buy a large number of foreign and local companies in the Philippines, some of which include start-up business ventures, branch offices, expanding companies, and foreign companies in need of local representation. The accessibility of serviced offices also makes it an attractive option to many companies. Most offices are usually open on a 24 hour basis, and provide high-speed internet access to anyone, anytime. However, serviced offices have their own share of limitations. For one thing, a serviced office often gives clients a generic impression of your company. Serviced offices also have higher monthly rental rates than conventionally leased office space. Most serviced offices are usually found in Central Business Districts (CBDs) like Makati, Manila, Ortigas, and Fort Bonifacio. Serviced offices in Manila usually range from Php 15,000-30,000 per month, depending on the type of facilities available to the renter. Office rates in Makati, on the other hand, range from Php 15,000-40,000. However, some rates are only given on application. 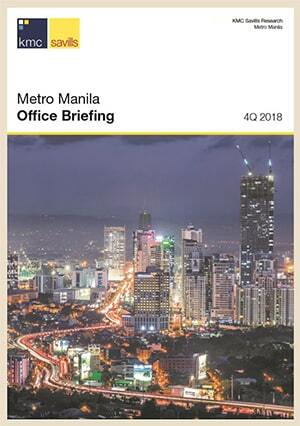 This is usually the case for offices located in premier business areas in the city, such as Ayala Avenue, Makati Avenue and Paseo del Roxas. If not done correctly from the outset, registering a business in the Philippines can be a complicated and tedious process. 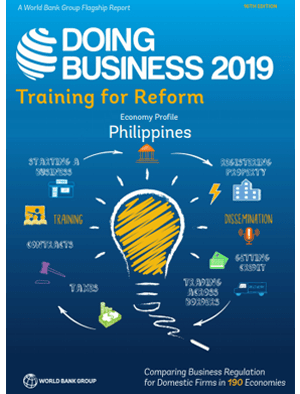 That is why it is important for foreign companies to be 100% compliant from the very beginning, and to familiarize themselves with the procedures in setting up and registering a business in the Philippines. In order to successfully incorporate a business in the Philippines, a number of things must first be taken into consideration. The appropriate investment vehicle must be chosen, whether it is a fully-foreign owned branch office, a fully-foreign owned domestic corporation, a fully-foreign owned representative office, or a 60/40 subsidiary, and the business must be registered with the relevant government agencies, including the Philippines Securities and Exchange Commission (SEC), the Department of Trade and Industry (DTI), the Bureau of Internal Revenue (BIR), as well as with investment bodies like PEZA and BOI. Historic Manila Bay, considered one of the best natural harbors in Southeast Asia, is currently experiencing a real estate boom….